Does this resolution conflict with the Diocesan or The Episcopal Church Constitution and Canons? Does this Convention have the authority to act or direct an entity included in the resolution? How will this resolution be executed, followed up, or assigned? What is the financial or funding impact? The deadline for submission to the Secretary of Convention for resolutions to be considered at this Convention is September 17. The deadline for opposing statements regarding resolutions is October 20. This form must be used to submit a resolution. The completed form must be signed by the delegate submitting the resolution for consideration. 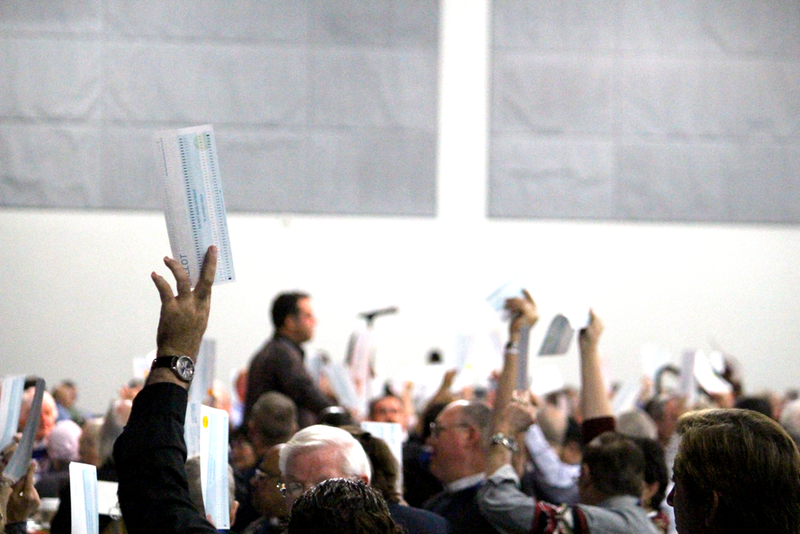 The History of Resolutions Passed by Convention gives delegates wide opportunities to get better understanding of Convention’s past, to assess its achievements, and avoid its missteps.